"The style that is used most at present is put up by dividing the hair crossways of the head, this leaves the hair divided into a top and bottom part. 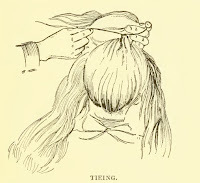 Take the top part in a twist or coil and pin it in place as shown." 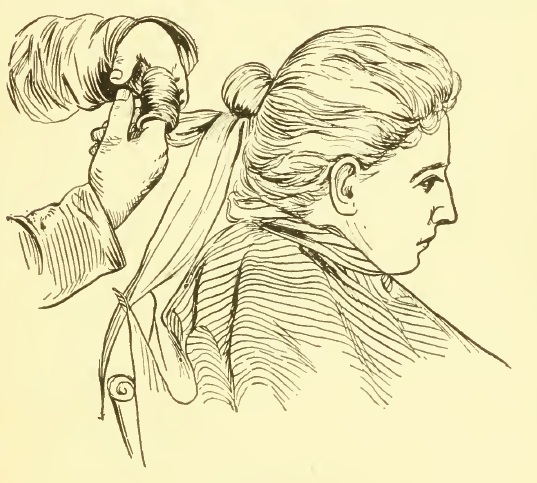 So first ... pull all your hair into a ponytail high on the mid-back of your head. 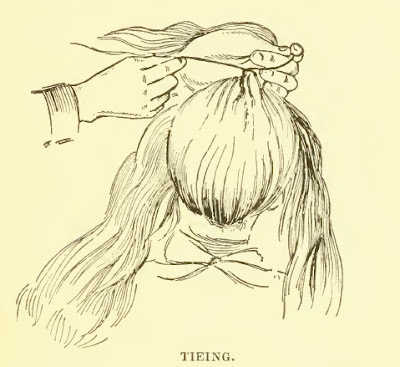 Divide it into a top and bottom section, coiling the top section into a bun. With the bottom section of ponytail, divide again into two to four sections, rolling each up on your fingers and pinning around the bun as suits you. 1. High, loose ponytail. 2. 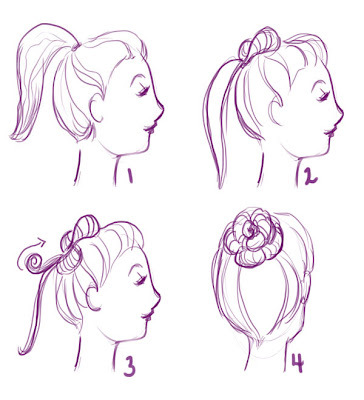 Curl top half of ponytail into a bun. 3. Roll up sections of the lower half of the pontail, pin. 4. Yay! "This style of hair-dress can be used with a pompadour roll or a rat. 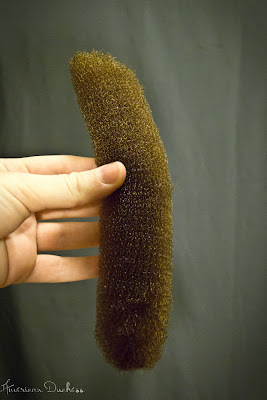 They are made of wire or hair, and can be used on the front of the head, the sides or back. ... When used on top, pin the roll on each side and in the center, then comb the hair, either crimped or straight, over the roll, covering it entirely and giving the hair the appearance of ...the pompadour roll"
A modern mesh hair rat, easy to pin into. 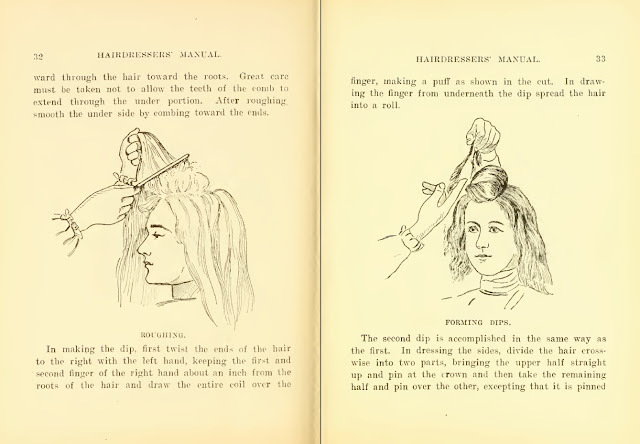 Start the Double Dip by dividing the hair into three sections - two front (left and right side), and the back. Pull the back into a high ponytail, and leave for later. In the front, take each side section and roll it into a massive looped roll on top of the head, with the tail falling out the back. 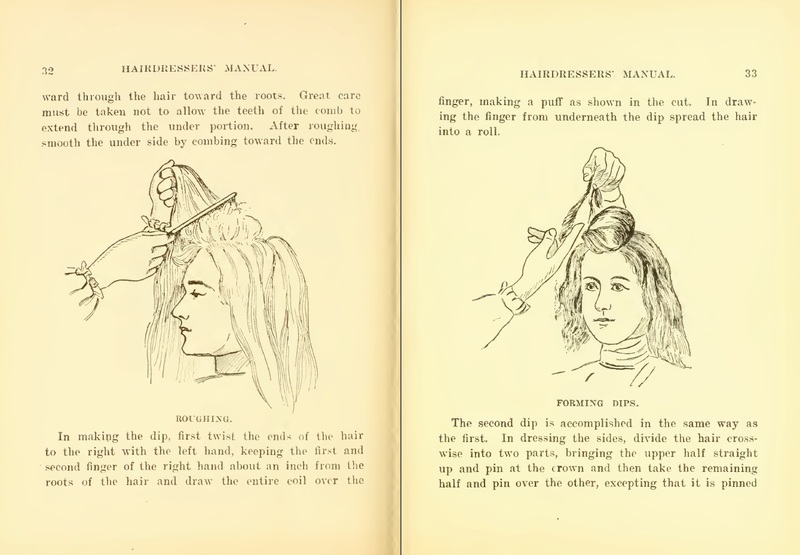 To get the volume, use a hair rat, or tease the hair - in this case the top side of the hair - before smoothing into the big roll. These big rolls are the "dips." Be sure to roll upwards, toward the part. This is where Moler gets confusing. Here is my translation: you've now got the ends of the dips sticking out the back - add these to some of the hair in the high ponytail you tied earlier, and coil into a bun. 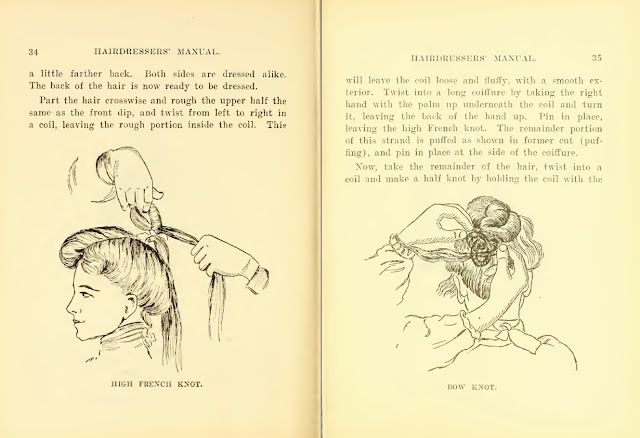 You can now roll the rest of the ponytail as you did in the basic Gibson, or you can try the bow knot. So these two styles are good ones to get you started. 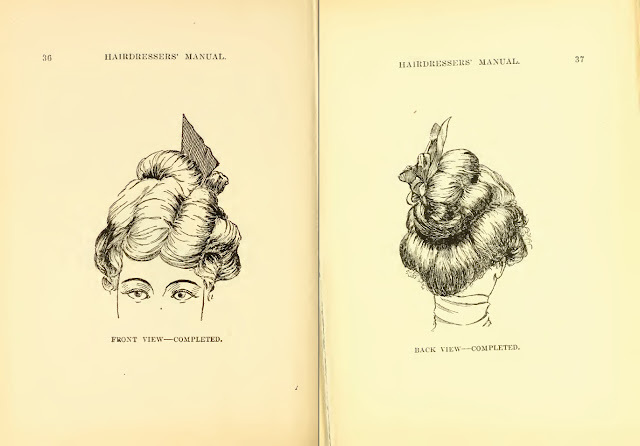 The cool thing about Gibson Girl styles is that they all come from the same basic principles - poufed front, high bun. How you pouf the front and tie the bun in back can be customized to your heart's content, with various twists, rolls, puffs, and curls. 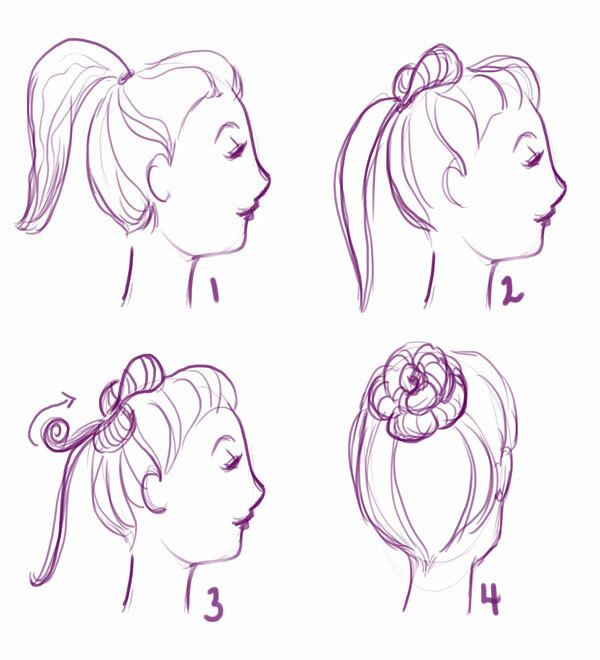 The best way to get a handle on doing these styles is to jump right in and practice. I need to go spend some time with my hair.. Thank you for posting this! I have short short hair, so I totally depend on wigs. These look very easy to do with the full wigs I have to play with. I'm sure I'll have fun trying them. Thanks so much for this series! It has been quite interesting. I have been following for a long time, but never comment. I love seeing your creations.